We are OPEN for drop-in painting this vacation week! We’re still putting the finishing touches on our facelift but, are happy to have you drop-in and paint! Unleash Your Inner Artist! Express Yourself! 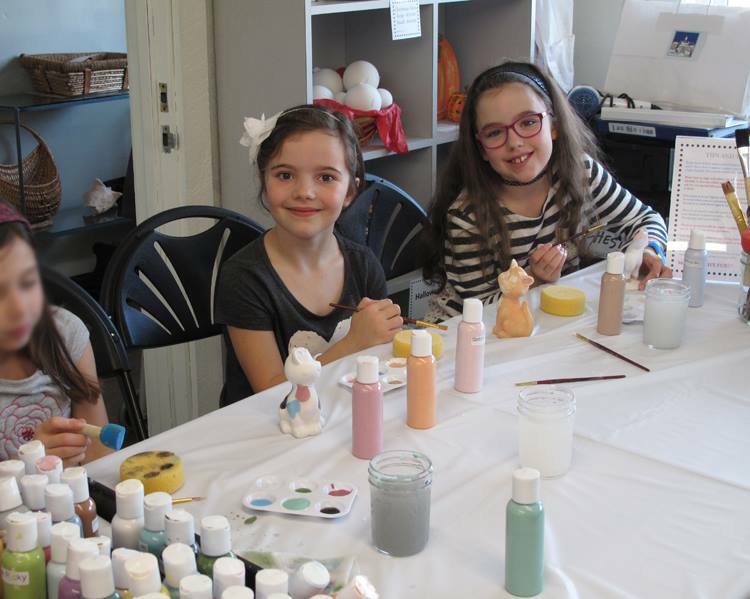 Hestia Expressions Paint Your Own Pottery Studio is now available for groups or drop in. Sat: 10 am – 4 pm. Due to our small size, our Drop-in Studio is closed during private parties. Please check our calendar below for private party dates. We offer special events for birthday parties, school & scouting groups, ladies night out, office outings, bridal showers, family time together & more! View the private parties below and contact us for details.